In Comic Books > Show & Tell and Toys > Space Toys > Show & Tell. 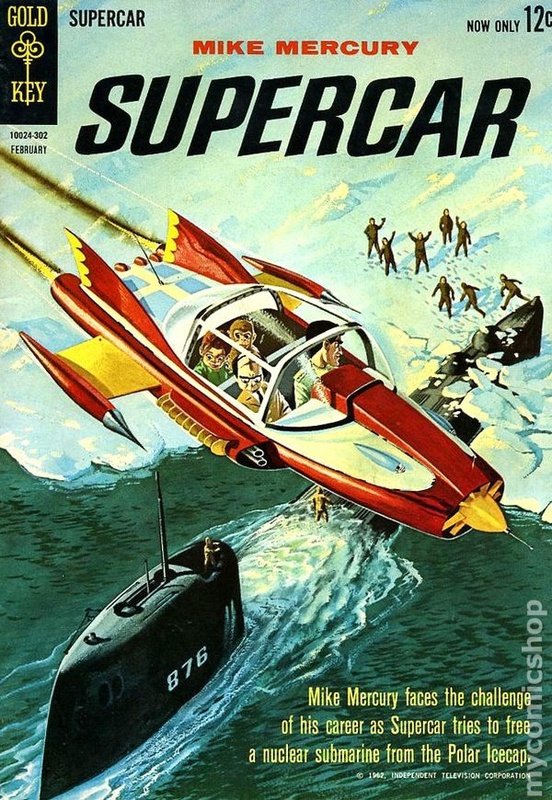 Supercar #2 Comic book with Wally Wood cover - 1962. 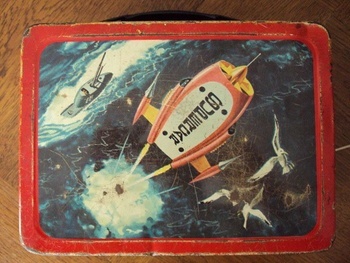 Supercar Orbital Food Container with Wally Wood artwork from 1962. Woody said to never draw a picture if you can copy it. 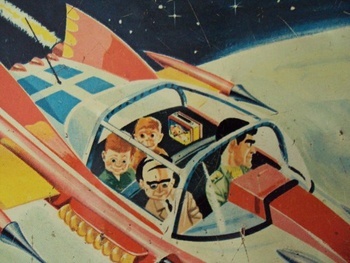 So he copied his own work to fit both of these great illustrations. 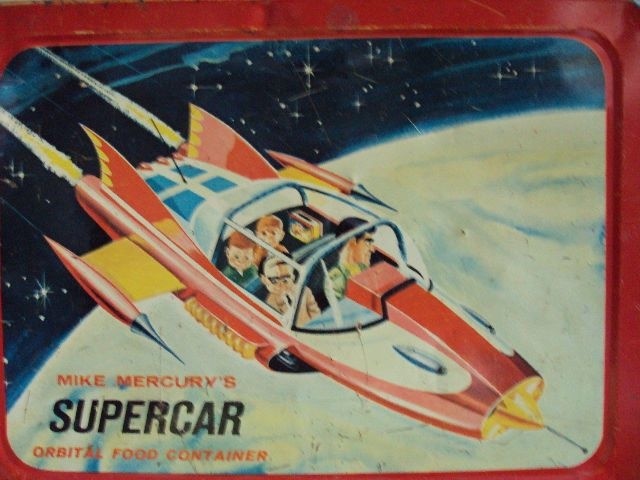 in the back seat behind Mike Mercury!